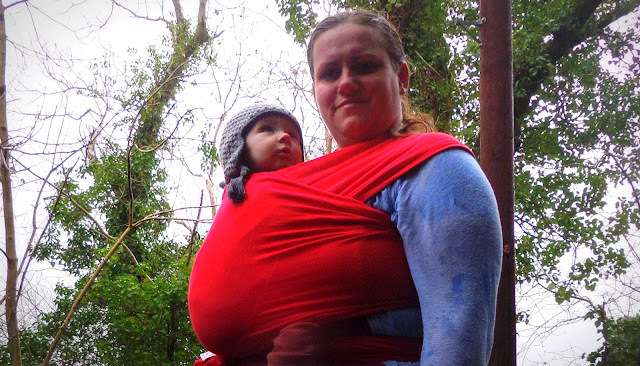 Where Roots And Wings Entwine: Babywearing with AmaWrap. 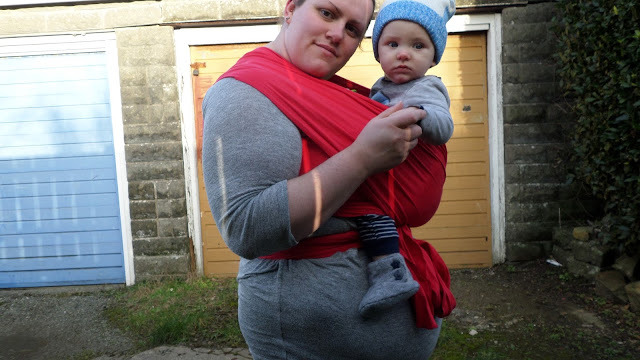 As I mentioned in our review of the Rockin’ Baby Ring Sling review I love babywearing. When Bug was born my mum kindly bought me a stretchy wrap which I adored. 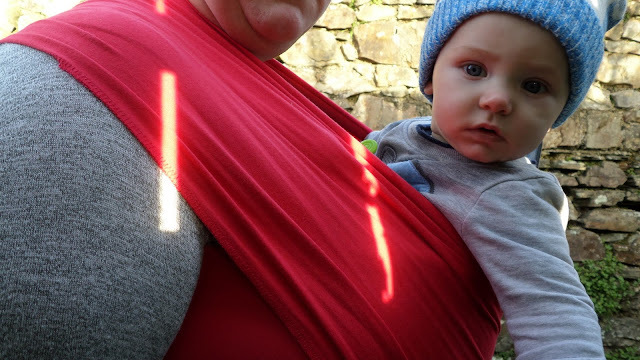 That first wrap sparked my love of babywearing and I carried Bug on a regular basis over the years, moving from a stretchy wrap to a mei-tai. As I loved babywearing so much with Bug, when I found out that I was expecting Jelly Bean one of the things I was most looking forward to was babywearing once again with a little baby. Since his birth I have worn him on a daily basis using either a stretchy wrap or a ring sling. 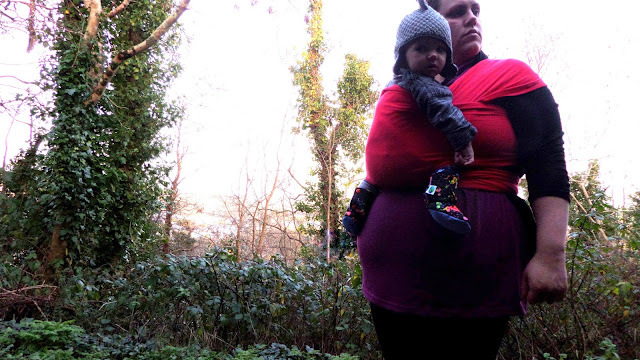 Wanting to explore the world of babywearing a little more and try other brands and carriers I was delighted at the chance of trying a new stretchy wrap – the AmaWrap Baby Carrier. AmaWrap Baby Carriers are luxurious baby carrier slings that allow parents to carry their baby. Made in the UK the wraps are made from 100% cotton. Thanks to the AmaWrap Baby Carrier parents can enjoy the benefits of keeping your baby close. Key benefits of babywearing using the AmaWrap are being able to keep baby close, providing comfort to baby, helping establish and support bonding with baby, being beneficial to babies suffering from colic and reflux, being useful for avoiding buggy issues when using public transport and shopping, and allowing parents to be hands free to be able to do other tasks. 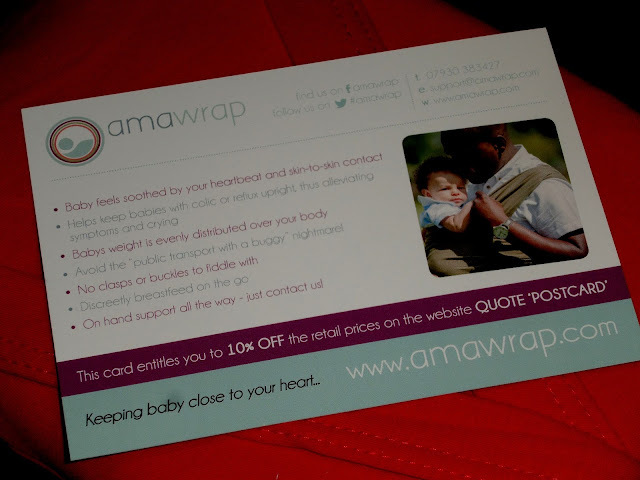 Before getting the wrap to try I found many appealing reasons to get a wrap from AmaWrap. 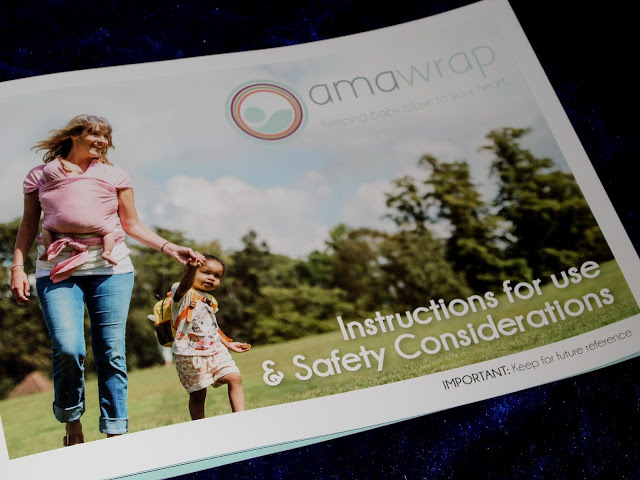 As well as being dedicated to making wraps for babywearing and providing excellent customer support, AmaWrap supports UK manufacturing. What I especially love about AmaWrap is that they provide wraps to hospital Baby Units. 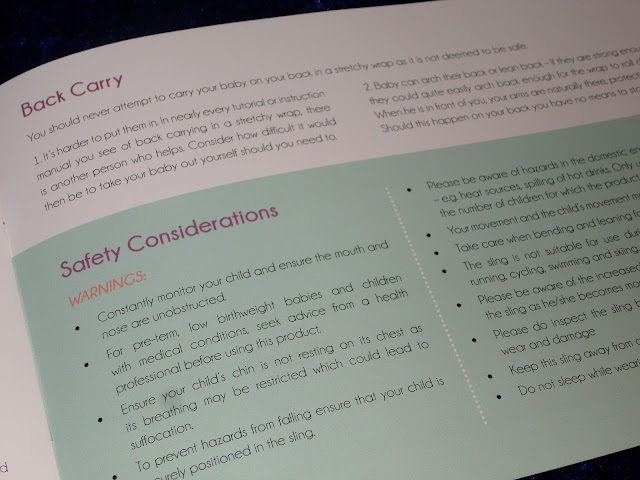 I love that the wrap comes with an ‘Instructions for use and Safety Considerations’ booklet which as well as informing users of the benefits of babywearing and how to use the wrap, highlights safety considerations and the T.I.C.K.S rule for babywearing. 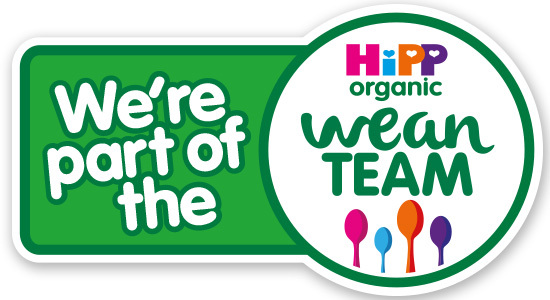 Whilst the internet is a wealth of information about how to babywear and do so safely, and those experienced at babywearing will already be aware of the information covered in the booklet, I think that it is brilliant that the instructions and safety booklet is so through and informative as it will help inexperienced babywearers. The stretchy wrap is suitable for babies from newborn to 15kg and can be used to carry babies in a front carry. Following the instructions on how to carry your baby the wrap provides ergonomic positioning which gives the best hip position for baby as well as making carrying baby comfortable for the parent. The wrap comes with its own little bag in matching colour for storing the wrap when not in use. The bag is very handy for keeping the wrap compact and stored tidily, and great for grabbing when going out so that I have the wrap to hand when and if I need it. 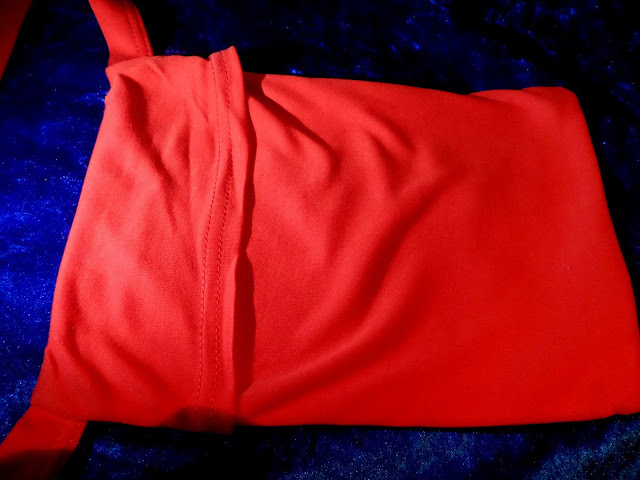 The AmaWrap is super soft, with the wrap being made from high quality fabric and made to a very high standard with the wrap’s hem being finished to an immaculate condition. The wrap’s tails are subtly tapered to a curved finish which I really like as is a nice change to blunt, straight-edged tail ends. 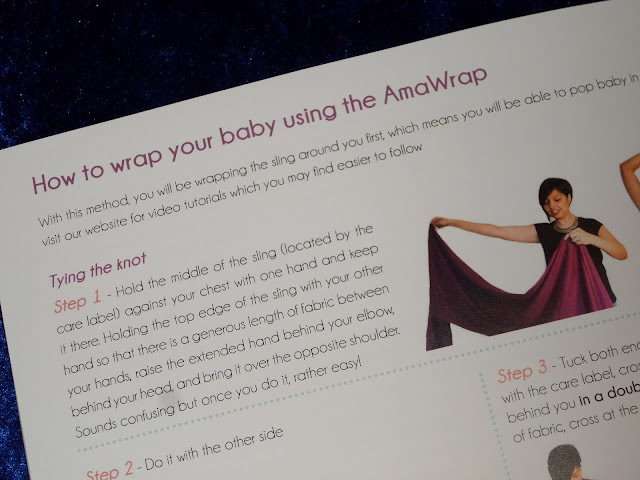 To help find the centre of the wrap to make using it easier, the wrap features a AmaWrap logo as the middle marker. 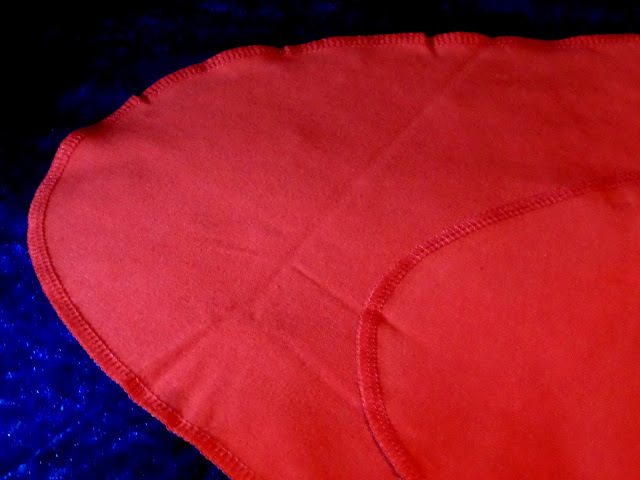 I love the rich Poppy Red colour of the wrap which is lovely and vibrant – the photographs really do not do not show off how lovely the colour is. 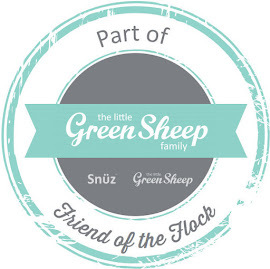 The wrap is a one size fits all wrap and even as a fluffy mama I can wrap and babywear with it with no problem. Whilst I can carry Jelly Bean with it without having any problems with the size and having enough tails left to tie with without tying on the very ends, compared to my other stretchy wrap it is a tad shorter but plenty long enough even for a fluffy mama like me, making it a great size for all. I have used the wrap to carry Jelly Bean in a Pocket Wrap Cross Carry and a Front Wrap Cross Carry. 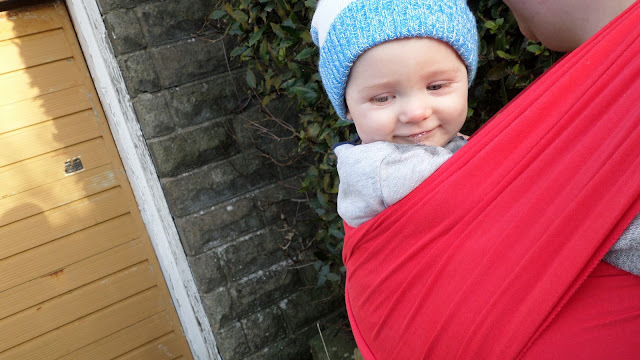 When carrying Jelly Bean the wrap feels very secure and comfortable and I have worn it for long periods of time without any discomfort or shifting. 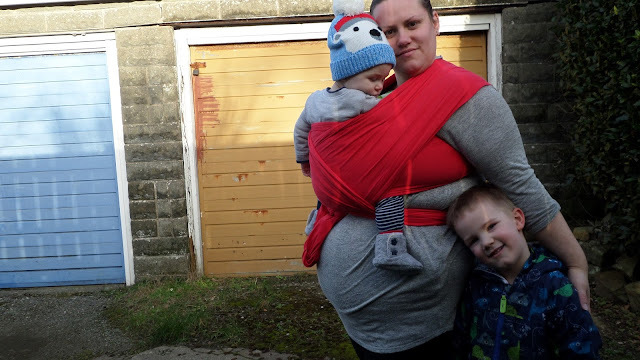 I love that the wrap is easy to tie and makes babywearing quick and easy. When carrying baby using a Pocket Wrap Cross Carry as you can simply tie the wrap and pop baby in and out when needed, retightening if needed for optimal positioning and safety. We love this wrap and wear it often, using it when out and about shopping, having adventures with Bug and for the school run. 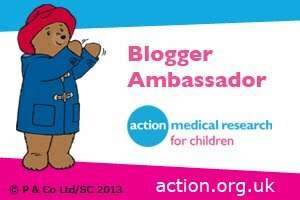 I also love using it to carry Jelly Bean when at home when he is unsettled and needs comforting or when I need to get some chores done and he has had enough of playing on his mat or in the jumperoo. The fact that the wrap with its super soft material and snug fit has lots and lots of sleepy dust is a big plus too. The wrap is the perfect combination of softness, sturdiness and stretch for making babywearing comfortable, snug, easy, safe, and secure. We love it for all those reasons and I love having Jelly Bean close to me and he is always so happy and content when being carried in the beautiful red AmaWrap. 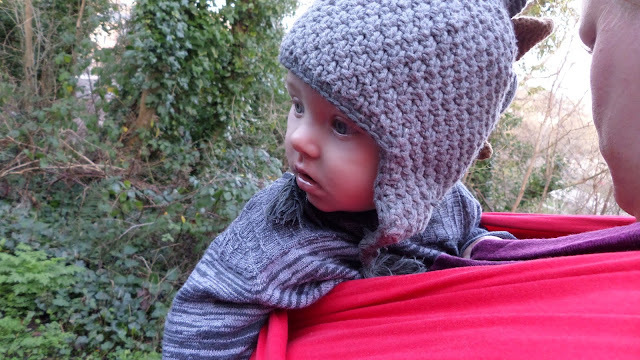 I can’t recommend AmaWrap highly enough; their wraps are beautiful and ideal for babywearing, being great for beginners and experienced babywearers alike. AmaWrap’s are available on the website in a range of gorgeous colours for £39.99 with free 1st class delivery and if you order before 2pm you get same day despatch. 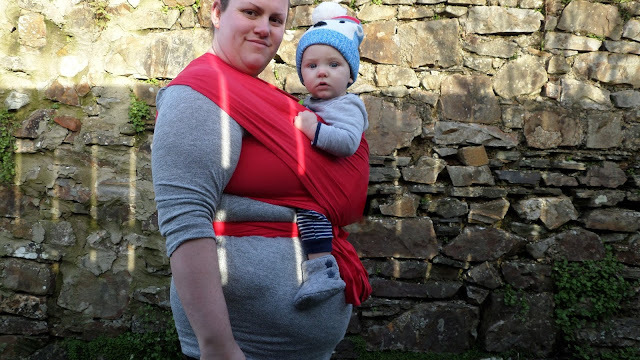 We are enjoying our babywearing journey with AmaWrap, the only thing I do not like is the thought of not being able to use it once Jelly Bean is bigger and heavier……..might have to have another little baby so I can wrap with AmaWrap once again! What do you like about babywearing? Thank you. I wear Jelly Bean daily but has not stopped him being on the go . It is so handy and comfy for school runs in particular! It is a great wrap, my 3rd stretchy and this one is brilliant. Definitely very handy for hands free tasks, always carrying him when shopping and think I've become known as that mum who is always got her baby wrapped on her! 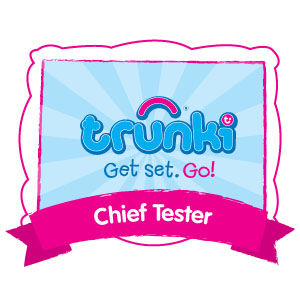 Godsend is so true! Glad to hear you found the AmaWrap easy to use. Very true that they grow up so quickly. I love the closeness and cuddles I get from carrying with AmaWrap.